Recently, we received quite the exceptional project picture from one of our customers, Willis Construction. Dedicated to quality service, Willis Construction helps customer’s build their dream home, one-step at a time. 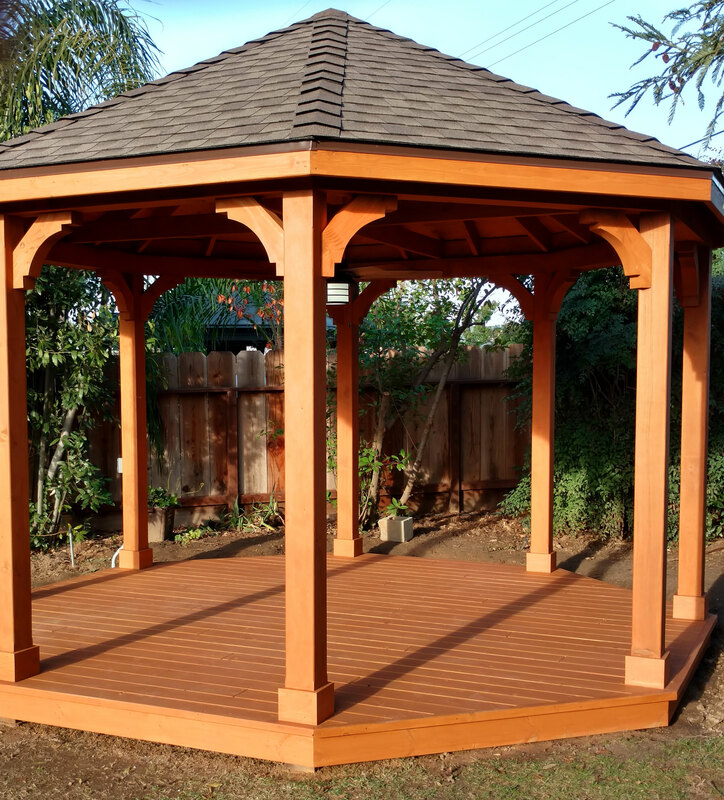 Their recent project was to build a beautiful wood gazebo. They chose to use several Ekena Millwork Douglas fir Merced braces for their project. “We installed these corbel braces on this gazebo using 3″ coated deck screws, then stained them with the entire structure,” stated our customer. We think it looks great! First, the Ekena Millwork Merced brace is part of the Rustic Collection. The Rustic Collection is special because it guarantees that each wood product is individually carved and never kiln dried. Additionally, it is 100% unique and contains unique colors, grains, textures and natural knots with each wood product. These natural variations are what makes the Rustic Collection stand out from the rest. Lastly, these braces, and other products in the Rustic Collection, are made in the USA. By purchasing these products, you, the valued customer, are supporting our American workers. Thank you for that! Finally, if you are interested in ordering your own Rustic wood brace, please feel free to check out the link below!